Please note! 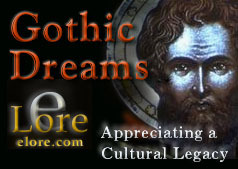 After nearly twelve years online Earthlore is currently undergoing an extensive upgrade to the entire set of active features. Enhancements are being implemented at nearly all levels of our development process. Each theme is to be expanded with new content and innovative features. Remastered classic themes shall return and you may also expect many new features to make their debut. During this process, which shall be completed in various stages, you may find certain pages which have been taken completely off-line. These changes are temporary, and the elder features will soon be accessible again. Be patient with us; we're a small but dedicated crew. Our objective is to provide an enhanced and inspiring learning experience for you. If you would like to receive an invitation to return, when all is ready, just send us a brief request, with your E-mail address, and your page(s) of interest.. If you have any other questions, we will be happy to respond; as soon as one of us gets a tea break. The brief directory below will guide you to the primary pages of the a few elder themes, which remain accessible. 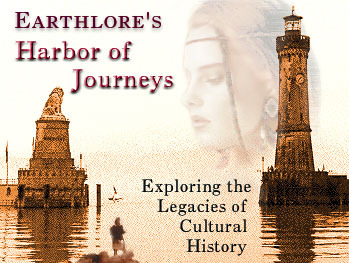 The new Harbor of Journeys content directory will be unveiled once a major portion of the renovations have been completed. Expect several new features to also premiere at that time. At the dawn of the twenty first century, we are still awed by Gothic cathedrals, odd, archaic wonders contrasting sharply to structures of later ages. These master works of spirit, constructed for the souls of the medieval faithful, continue to transmit their spiritual heritage... yet, how best may we appreciate the vast legacies they preserve. 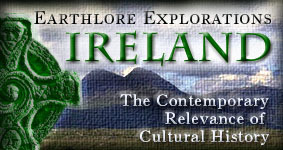 An exploration through the history and evolution of Ireland's cultural heritage; from the earliest settlements shrouded within a rich mythological lore, to the contemporary Irish arts, currently inspiring a worldwide audience. Discover the contemporary significance of this vibrant pathway in cultural history, spanning nearly nine thousand years. "What constitutes the freedom, the soul of an individual life, is its uniqueness. The reflection of the universe in someone's consciousness is the foundation of his or her power, but life only becomes happiness, is only endowed with freedom and meaning when someone exists as a whole world that has never been repeated in all of eternity. Only then can they experience the joy of freedom and kindness, finding in others what they have already found in themselves." With 'millennium fever' still running rampant, there are countless theories being put forth on important chapters of history. This series addresses the need for a sense of order in this ever evolving process. Is there any relevance today for verification of a historical King Arthur hidden in the mists of legend? Here, you can decide for yourself. An exploration through the history and evolution of the world's astrological sciences; the worldwide studies of planetary forces, which have aimed to secure answers about who we are and what meaning our life has in the unfolding of creation. The Lore of Astrology is a continuation of this ancient quest for understanding.